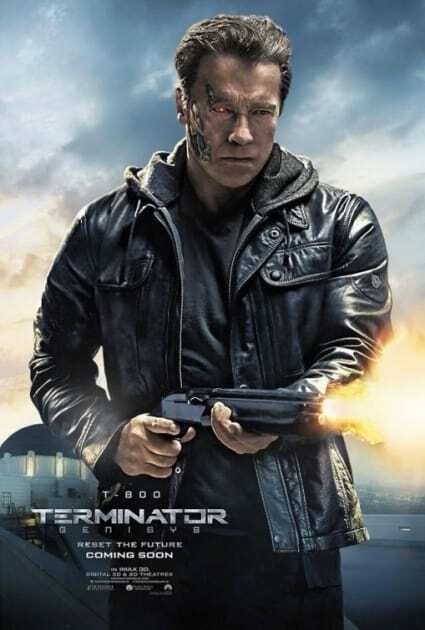 Terminator: Genisys is a reboot of the fabled Terminator franchise started by James Cameron. It brings back Arnold Schwarzenegger in the role that made him famous. The Guardians is here to save the day in the Terminator: Genisys poster. 2. 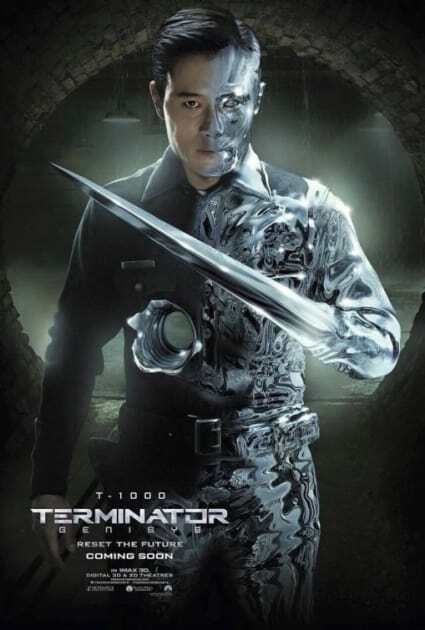 John Connor or T-3000? Nope, that's not really John Connor. It's the T-3000! The Sarah Connor Poster! Emilia Clarke is Connor in the new Terminator. 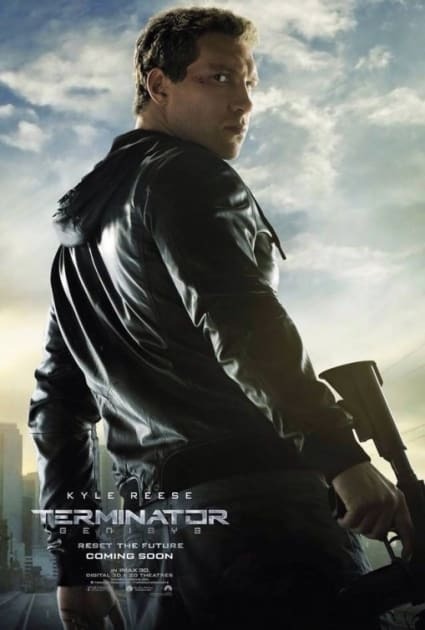 The Kyle Reese poster for Terminator: Genisys. Jai Courtney is Reese. The T-1000 poster for Terminator: Genisys. 6. 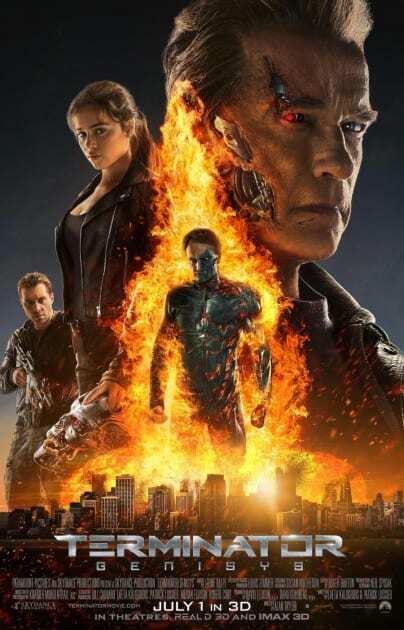 One Fiery Terminator: Genisys Poster! It's a fiery future (and present!) 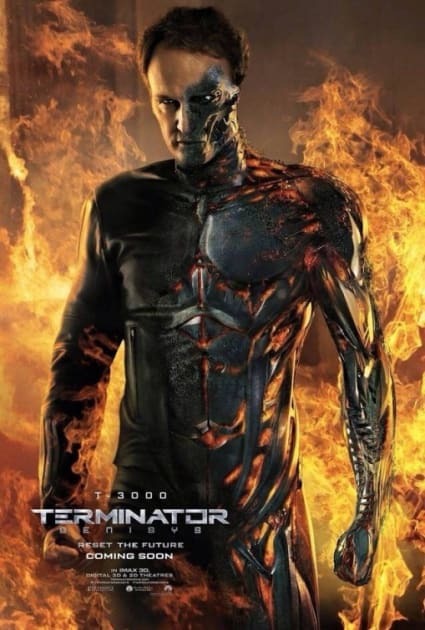 in the new poster for Terminator: Genisys. Terminator Genisys Wraps Production: Arnold Posts Photo! Terminator Genisys: Covers Entertainment Weekly, New Details Revealed! Terminator Genisys Photos: Arnold Schwarzenegger Is Back! Terminator Genisys Teaser Trailer: He Is Back! Terminator Genisys Photo: Old Red Eyes Is Back! Terminator Genisys Trailer: This Changes Everything!